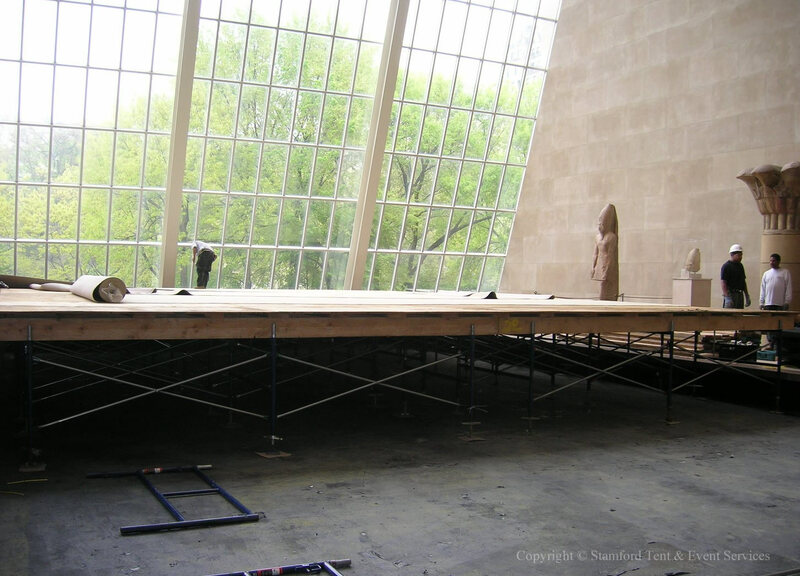 I’d like to highlight one of our past projects at The Metropolitan Museum of Art in New York City. 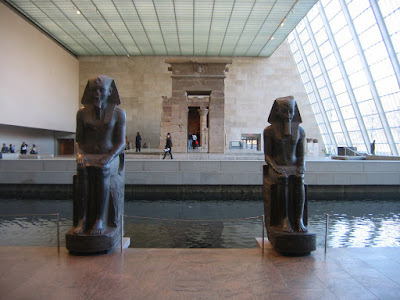 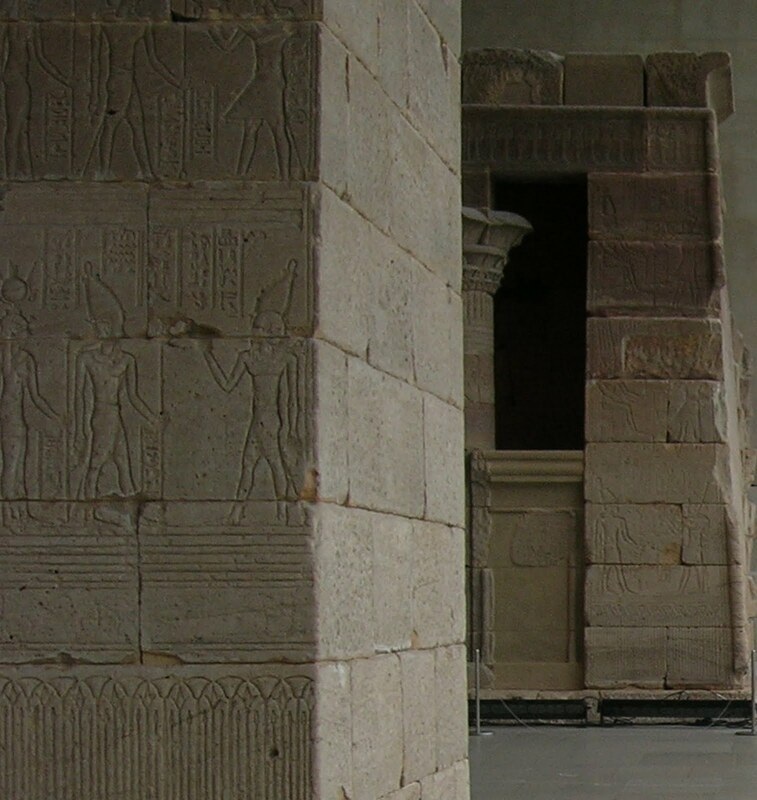 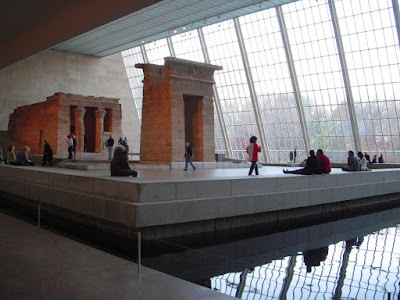 It took place in the Sackler Wing which houses The Temple of Dendur. Originally, the temple stood on the left bank of the Nile River in Egypt and is thought to be built between 15 BC and 23 BC. 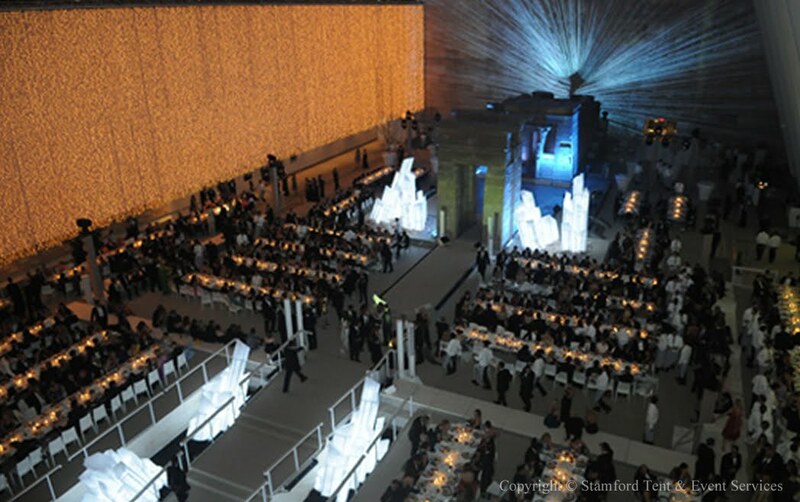 If you ask me…that’s pretty cool. The hieroglyphics (shown to the right); the fact that you can still see the tool lines in the sandstone; the construction...and did I mention it was built more than 2,000 years ago? Here's the Temple in its orginal location. 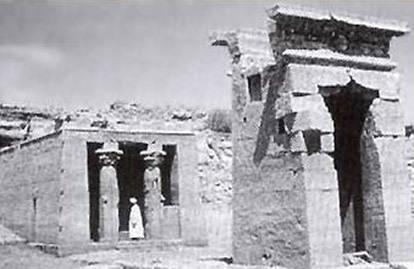 I believe it was taken in 1906. If you look closely, you can see me in the fashionable white robe. 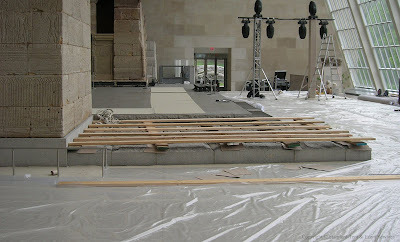 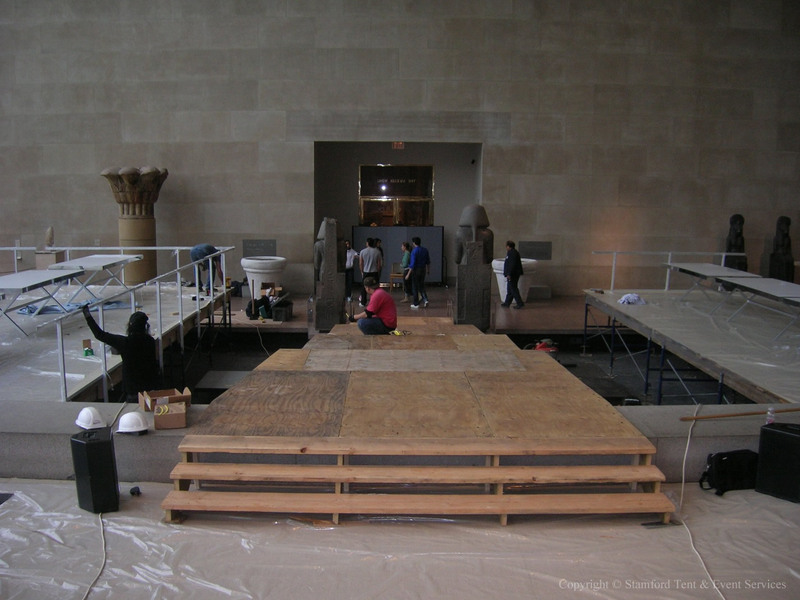 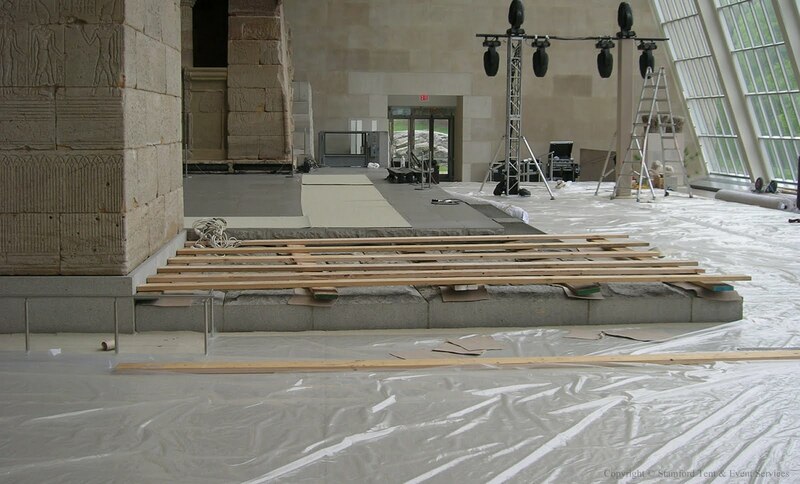 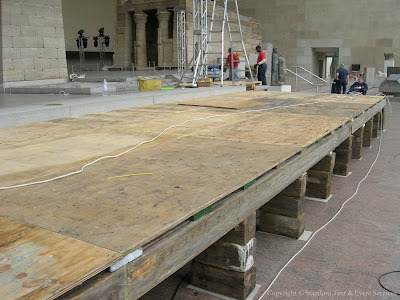 Here’s a shot of the Temple at The Met, prior to our building the sub-floor, landings, steps, railing, and stage. Our floor spanned over what represents The Nile River, as you will see in the final photo below.